Located on the western end of Arlington's Rosslyn-Ballston corridor, Ballston bridges two distinct areas of northern Virginia, effectively blending city and suburban life. Near the Metro Station, Ballston's core is dotted with skyscrapers, condo complexes, and office buildings that hum with activity during the day. A nice mix of shopping and entertainment options clustered around the Metro ensure the area stays "alive after five." 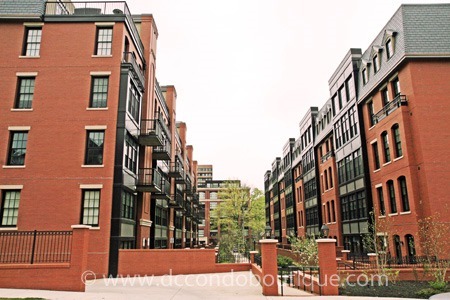 The Metro's easy access to Georgetown and Downtown DC via the Orange Line train and Metro bus is one of Ballston's great selling points for everyone from recent college grads to young families to urban professionals. If you stroll three or four blocks off Fairfax Drive, the neighborhood loses its city feel, becoming quieter with parks, schools, and single-family homes set back from tree-lined roads. 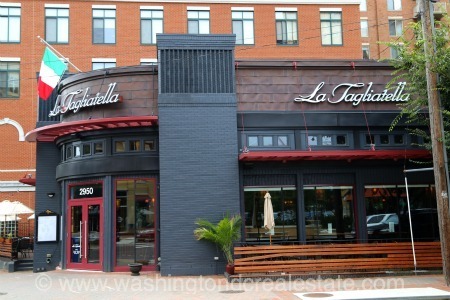 These more suburban blocks are ideal for residents driving out to jobs in Tysons or Fairfax. 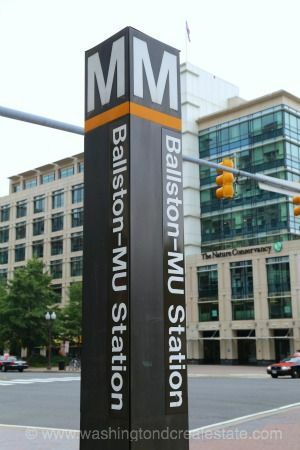 Many a commuter has wondered at the origins of Ballston's name as the conductor on the Metro intones "BALL-ston" as the train approaches the station. Ballston first came to prominence as a streetcar suburb in the late 1890s, drawing its name from the Ball family whose family cemetery remains in the neighborhood to this day. Ballston was known at one time as "Parkington" after the Parkington Shopping Center that opened in the 1950s. The area fell out of favor in the 60s and 70s but roared back once the Metro opened in 1979. Redevelopment has continued, slowly replacing the original buildings from the 50s and 60s with taller, more compact, contemporary buildings. A collection of trendy restaurants have opened around the Metro, catering to the lunchtime and happy hour crowds, including Tutto Bene for Italian, and Caribbean Breeze which combines great food with salsa dancing. 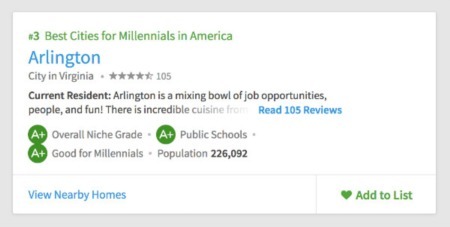 The Taste of Arlington, typically held in May, is an annual street fair that enables residents and visitors to sample a wide range of Ballston's restauranteurs in a lively setting. Ballston is also home to the Kettler Capitals Iceplex, the training facility for the Caps, and is open to the public for hockey, free skate and other activities during the week. Small enough to feel like "home" but large enough to offer urban conveniences, Ballston is a vibrant area providing great balance between Northern Virginia locations and easy access to DC.